• Achieve the perfect bun with double coated Bobby Pins! • Our comparably priced hair products meet or exceed the quality of drugstore brands. • Available in four colors - Blonde, Light Brown, Dark Brown, and Black. • Quantity - 25 pins per card. 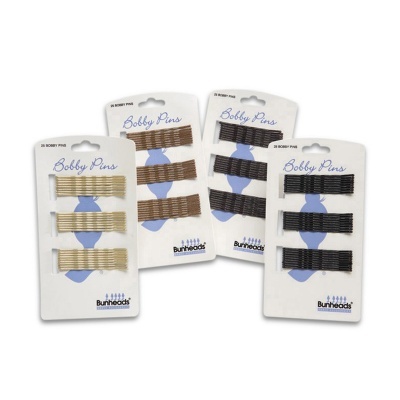 The Bunheads Bobby Pins measure approximately 2 1/4" in length.